Starting with just one machine 100 years ago, Blastrac now has a portfolio full of machines for the preparation and main-tenance of floors and other surfaces. Blastrac’s company history already spans over a hundred years. In 1906 the American Foundry Corporation was established in the United States. This forerunner of Blastrac created a name for itself with the Wheelabrator machine, a static large machine with a number of wheels that threw the abrasive at the surfaces to be processed, this being an alternative to the com- pressed air type of blasting that was in use at the time. This process gave a significant production increase for the industry, especially in foundry applications. In 1978 the first portable blasting machine was invented. The American Foundry Corporation marketed its own line of por- table shot blasting machines under the brand name Blastrac. The company rapidly became market leader. 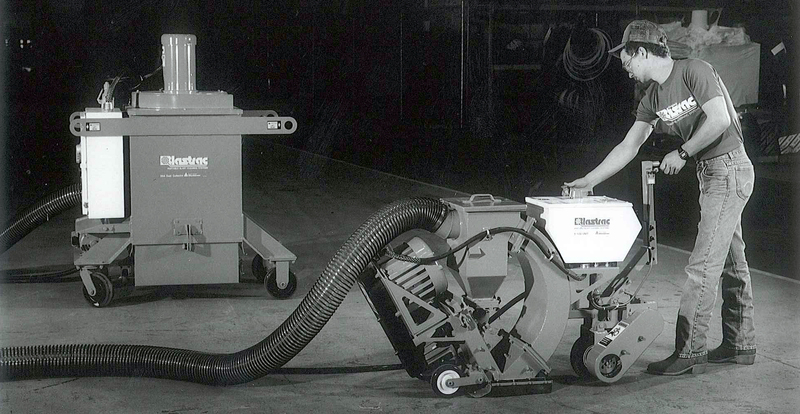 In the 1980’s Blastrac started its own production of surface preparation and maintenance equipment in Europe. In 2004 the Blastrac organisation was centralised in Nieuwe- gein in the Netherlands. Nieuwegein is also the head office of Blastrac Europe. All elementary corporate processes, such as finance, logistics, R&D, acquisition, sales, marketing and pro- duction are therefore centralised under one roof. This gives Blastrac the advantage of short organisational lines, better communication and greater flexibility. In 2005 Blastrac is established as a separate company, with sa- les offices in France, Germany, Spain and the United Kingdom. In 2006 Blastrac opened a production, sales and logistics branch in Poland. 2006: Blastrac opened its own production centre in Poland. Since 2008, Blastrac has been expanding rapidly with even more sales & service centres throughout and outside of Europe. Even now Blastrac opens up branches around the world almost every year. Currently, Blastrac is a multinational organisation that employs around 450 people worldwide. Furthermore, Blastrac has a global network of more than 70 dealers around the world. With its unequalled production line, the organisation has seen a massive geographical expansion in recent years. Various new markets to applications are catered for. With more than 50 different in-house produced machines, Blastrac has the biggest range of surface preparation machi- nes available on the market. Through our sales & service cen- tres spread around the globe, we are able to supply, service and train you anywhere. Answer any questions about our surface preparation technologies. Give you advice about a specific surface preparation project you are working on. Train you and perform demos at one of our sales & service centres or a local jobsite. Assist you with the replacement of your old and worn-out spare parts and accessories.